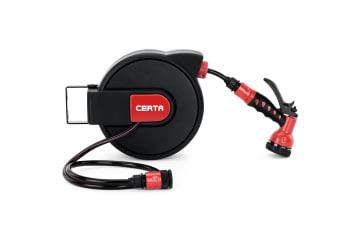 Keep your backyard looking clean and organised with this retractable 10 metre hose and reel. 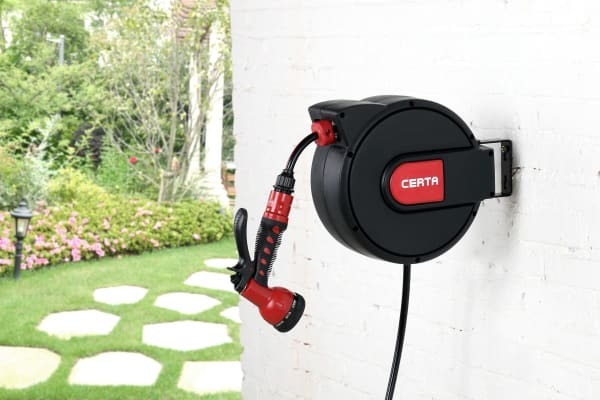 Reaching those tight corners and far points of your backyard with ease, the Certa 10m Retractable Garden Hose Reel is the ideal garden hose and reel for household backyards and courtyards. A tightly designed reel system neatly tucks the hose away after use, avoiding kinks and ensuring your backyard looks clean and tidy at all times. An automatic reel function even saves you the hassle of manually winding the hose after a hard day’s work! 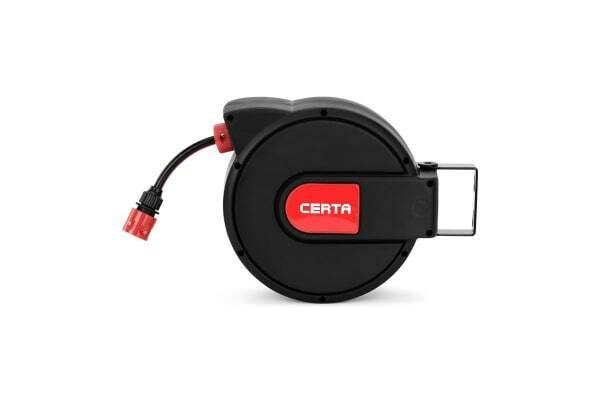 Simple to install onto any wall or surface near a tap, this retractable hose reel features a quick connector system for ease of use, as well as a position lock marker to ensure your hose remains at the desired length.